You can put up spring wreaths with an assortment of faux flowers and greenery even when chilly winds are still blowing. They stay looking great well into the heart of the season, and are more realistic than the stiff, plastic versions of decades past. Or you can find or make wreaths using real flowers, dried or foraged. 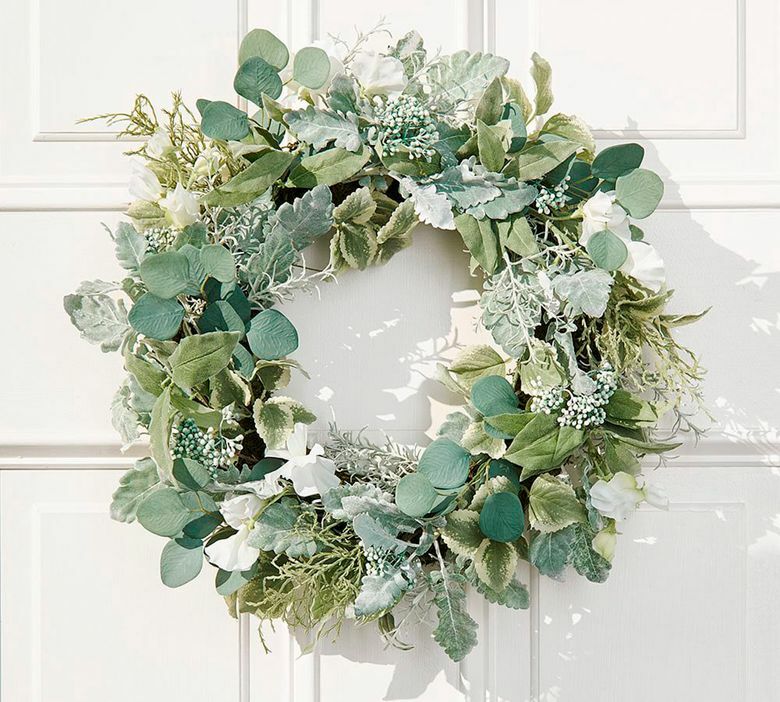 Grandin Road’s Haley wreath is a spirited mix of fluffy, white, faux-hydrangea puffballs, accented with lifelike greenery and vines. Here too, a striking 28-inch-wide wreath chock-full of pink or yellow faux tulips. 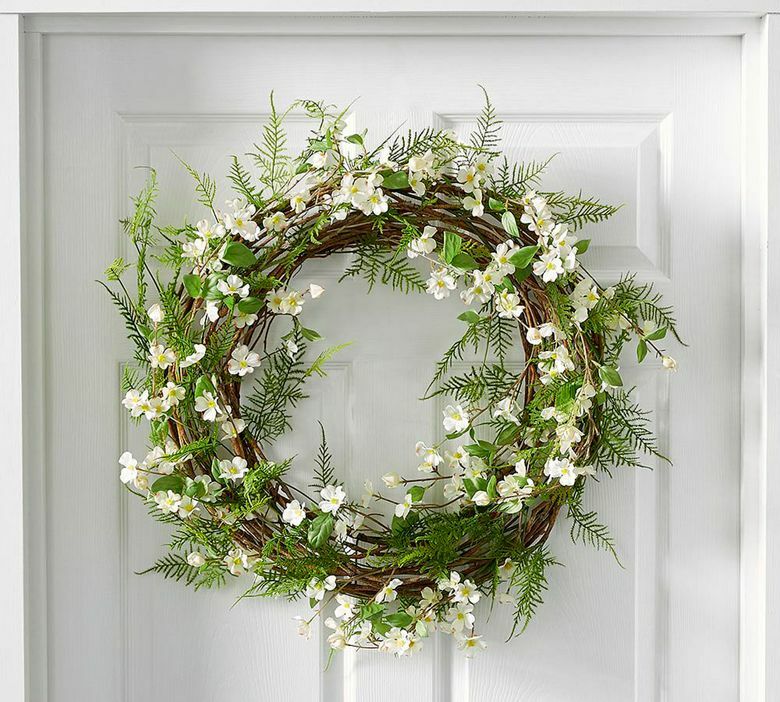 For a floral alternative, consider Birch Lane’s wreath festooned with puffy white cotton balls. Or the artichoke wreath, with a mix of textural greens on a woven vine base. Realistic lemons add freshness, color and contrast to a leafy wreath at Lowes. 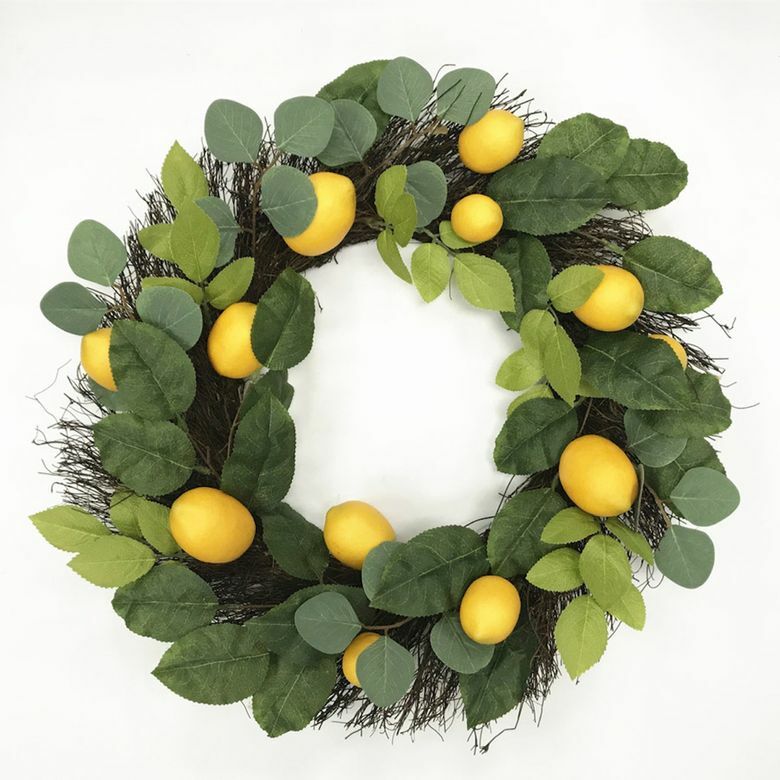 You’ll also find lots of clever wreath-craft ideas at Country Living. They’ve also got a living wreath formed of moss and über-trendy succulent varietals; place it in a warm sunny location and it will be welcoming your front-door visitors right through summer.